Welcome to the Quickbooks Pro 14500 Community. The program sold on this website will allow you to continue using Quickbooks after the 14,500 limit has been reached. It does this by allowing you to merge customers, items, or vendors. For All Quickbooks versions 2006 to the current version. If you use Quickbooks Pro, then you need to be aware that once your names file (Customers, Items, Vendors, plus Other names) contains 14,500 names then life, as you know it, is over. 14,500 names is not unreasonable. At my e-commerce site, HandicappedPets.com , was, at the time, getting 20 - 30 orders a day for Dog Wheelchairs and other items. 20 orders x 365 days x 2 years = 14,600. Quickbooks, under no circumstances, allows you to delete a customer record if there are, or were ever transactions attached. Neither the integrated "Clean Up Company Data Files" nor the "Make Inactive," "archive," or "Portable Company File" function will have any effect. Quickbooks will tell you that the only solution is to upgrade to their Enterprise version for more than you want to spend. FREE: Download an evaluation version (merges up to 10 customers, vendors, or items). Note: Your computer may give you a VIRUS WARNING when downloading this. This is because this program uses a "keyboard macro" and makes Quickbooks think you are hand-typing the "merge" commands into the keyboard. This is the only way Quickbooks will allow it. Many virus' also use keyboard macros. In any case, if it was a virus and hacked into your computer to steal thousands -- oh wait, you already HAVE that virus. It's Called Quickbooks! As you are probably in panic mode, wondering how to operate your business tomorrow, you can make room now, manually, in your customer file by MERGING unused customers, vendors, or Inventory Items. Identify customers, vendors, items, or other Names which are inactive and (in single user mode) change their Customer ID to "Retail" or something similar. Quickbooks will ask you if you want to Merge transactions, say "Yes." 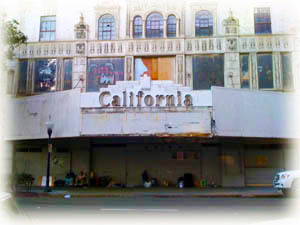 Do this a few hundred times and you'll have room for a hundred more customers. Do this 7000 times and you no longer have any problem at all, except, perhaps, stubby fingers and old age. 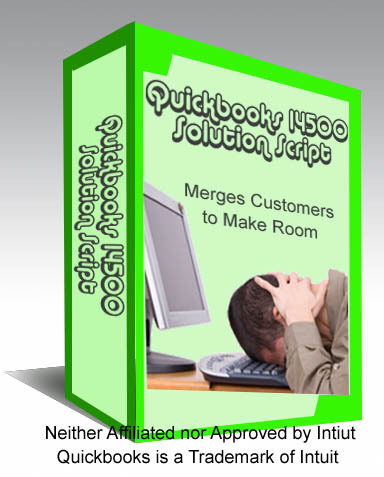 Or - you can use the QuickBooks14500 solution script.